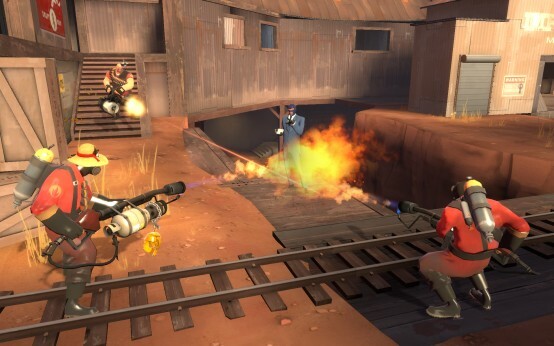 Discussion in 'Team Fortress 2 Talk' started by tf2.com, Jul 8, 2013. One of our goals as we continue to work on Team Fortress is to support a wide variety of play styles. In order to achieve that, it's been vitally important that the weapons in the game are fun not just to use, but to play against. We want players on both the winning and losing sides of an engagement to feel like their skill is being rewarded. In other words, when someone beats you, it's because they played better, either through pure combat skill, or through their strategic choices in selecting their loadout. Consequently, we are always reviewing both real world player sessions and player feedback to hunt down items that aren't meeting this standard. We'll be tweaking the stats on dozens of weapons in this next update—but we thought you might find it interesting if we walked you through the decision-making process on a select few. To start with, let's look at the "banner" items for the Soldier. The most popular of these by far is The Buff Banner, which provides an offensive buff enabling nearby teammates to do additional burst damage. Conversely, The Battalion's Backup, another Soldier "banner" item, is barely ever equipped. The Backup's owner-equip rate is well below what we'd consider healthy, with less than 15% of players who own it ever equipping it. If this data wasn't enough, the feedback we've gotten from the Backup's owners easily corroborates the lack of interest. Clearly, we needed to bring The Battalion's Backup up to parity with the usefulness of The Buff Banner. Previously, The Battalion's Backup rewarded players for taking additional damage, making it a frustratingly high-risk item. We found that most Soldiers would die well before they were able to build a full charge. When the next update ships, The Battalion's Backup builds up its charge by dealing damage rather than receiving it and provides additional damage resistance while active. Let's look at another example with the opposite problem: The Dead Ringer. At roughly 80%, the equip rate for the Dead Ringer is staggeringly high. Given the many other items available in this category, this means that players feel they don't have any other viable option but choosing the Dead Ringer. We've gotten emails from players who describe the item as frustrating to fight against, requiring too little skill from the Spies and too much from their opponents. In our next update, the Dead Ringer will work generally the same way it always has, letting Spies feign death to escape from damage that would have otherwise killed them. However, now any damage the Spy takes after his "death" will decrease the maximum length of time he can spend cloaked. This gives any players chasing the Spy more of an opportunity to catch up and deal a real finishing blow, while also requiring more skill from any Spy trying to make his way to actual safety. Finally, we'd like to talk about item sets. Historically, item sets have been thematically consistent sets of items that provide a unique gameplay effect when worn together. Unfortunately, these gameplay effects had two negative effects. For one, they limited player choice, making players feel like they would be underpowered if not wearing the complete set. For another, it was a balancing nightmare. An individual item that might be balanced as part of a set could feel underpowered (or overpowered) on its own. One of the main goals of introducing a new weapon is to give players more choices that will help them explore the game in fun new ways. Set bonuses had the opposite effect, making many players feel constrained in their choices. Set bonuses also required players to have full knowledge of other players' loadouts, including currently "invisible" items like melee-slot weapons. 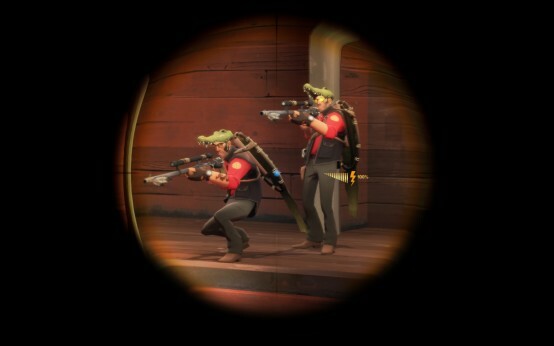 For example, the Croc-o-Style Kit set bonus gives any Sniper equipping it immunity to headshots. But there was no way for a Sniper to know whether a targeted Sniper had the bonus simply by looking. And this wasn't an isolated problem. Similar issues cropped up around the Scout's Milkman set bonus (extra health) and the Demo's Expert's Ordnance set bonus (extra fire resistance). For all of these reasons, as part of this next update, we've decided to change the way item set bonuses work. Players have traded for, purchased, and crafted these items, many in order to complete the sets and get these bonuses, and we're not abandoning the bonuses outright. Instead, we've moved the gameplay bonuses to specific items within the sets, and introduced new bonuses to these sets that won't affect gameplay balance. We look at this as an ongoing process. We want to provide more choices, more variety, and more clarity—all of which will hopefully result in a game that's even more fun. 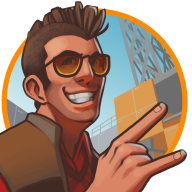 But more importantly, we want the TF2 community to feel as invested in this as we are. So please, let us know what you think. If things like the Buff Banner and Dead Ringer weren't the blatantly obvious choices in MvM, and therefore didn't have their owners spilling usage over to PvP because they're used to them, those stats might be a little different. Could this be the competitive update? As much as I love this, I would have preferred changes to the gunslinger and pomson. Still nice to finally see a dead ringer nerf though. I want to see them nerf the Sticky Jumper so that it can only have one stickybombs armed at a time. The Rocket Jumper wasn't a problem in gameplay so much since it could only propel the player as far as a regular rocket launcher and took away their best weapon besides, but when you can have up to eight stickies go off at once, the skybox brushes are literally the only thing stopping you from going clear to the other end of the map in a single go. Don't like the sticky jumper? Annoy the server admit into putting it on the banlist. I'm pretty sure they're changing more and the changes listed in the post are just examples. As a Pyro, I love the Dead Ringer because it makes hide-n-go-seek more interesting, but I can roll with this! Oh yeah, wasn't part of the purpose of the Dead Ringer to give Spies a chance to swim through spammy places like Dustbowl/Goldrush corridors? Reducing cloak time on damage, while not a bad idea otherwise, will hurt that a lot. Another weapon that could probably use a buff to make it more viable: the Scottish Resistance. It's already hard enough to use it in direct combat when you have to aim directly at the bombs to detonate them without the arm time penalty. The ability to destroy enemy stickies with it is cool, but not really connected in any way to the weapon's strengths and weaknesses; it's just a random buff they stuck on because they wanted it in the game somewhere and that was the only gun they were giving the Demoman in that update. Maybe they could give him a sapper replacement that negates damage while cloaked in exchange for not being usable as a sapper? EDIT : a good idea for a sapper, IMO, would be something like the sapper of MVM, that would place another sapper on anything in a given range of the sapped building. Each of these sapper would itself place new sappers in a certain range when appearing. 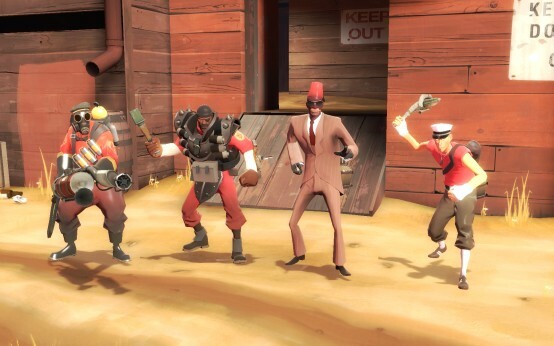 While those would be less powerful (or maybe with a delay before activating) to avoid spies spamming, they would prevent engies from sticking together and putting 30 sentries on the same spot, since a single sapper could destroy them all. 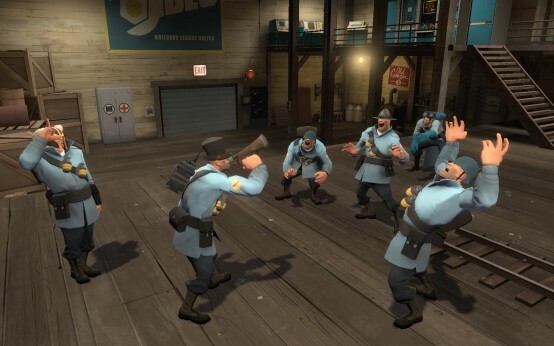 Based on my experiences with the unlimited sentries bug, it's already easy enough to sap a large collection of sentries in one spot, arguably even moreso if they're being attended by all of their engineers at once because you can disguise as an engineer and be almost impossible to find and kill. So scouts can fly now? Great. Unlimited sentry bug ? What is that ? Crash : we could do this before, couldn't we ?